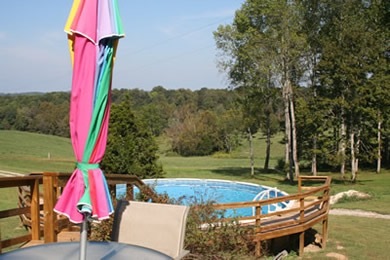 This country farm house sits 1.5 miles from Dale Hollow Lake on 6 beautiful acres. 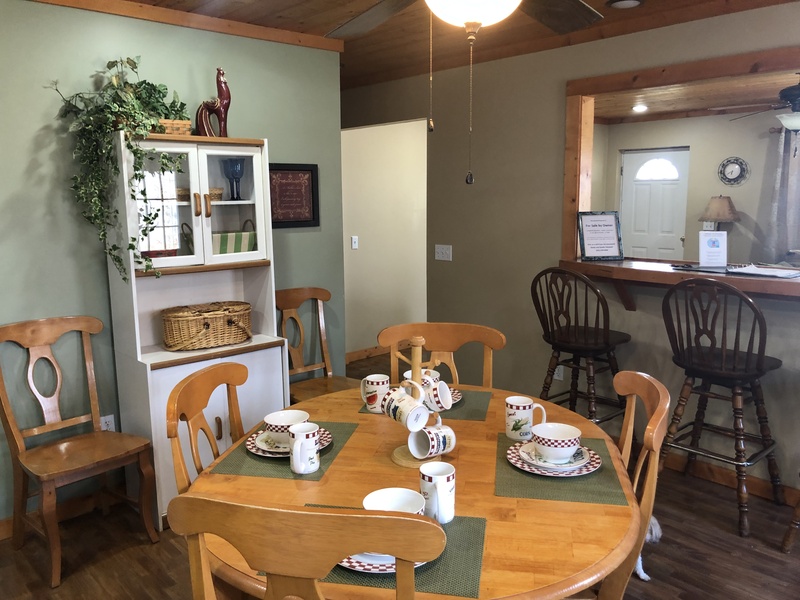 It is a wonderfully decorated house offering all the amenities of your own home and then some. 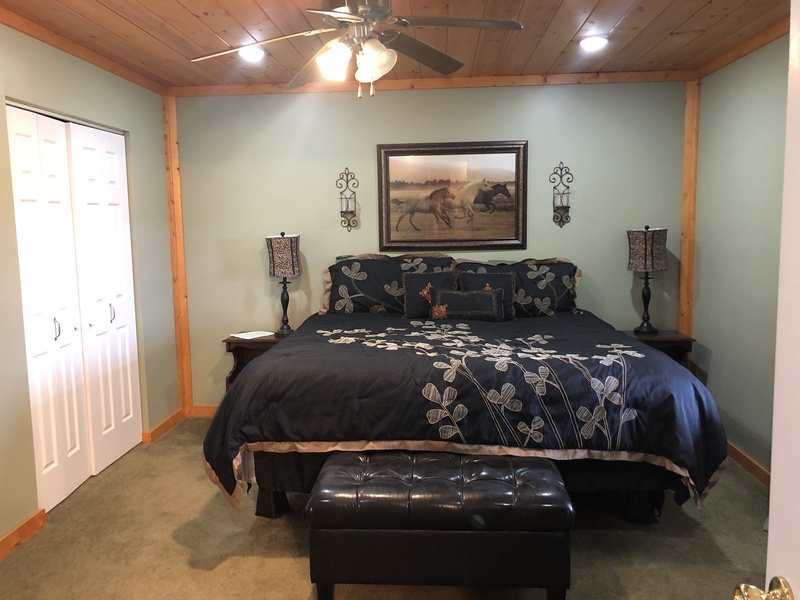 This home has 3 private bedrooms with 2 bathrooms with full size tubs and sleeps 6. 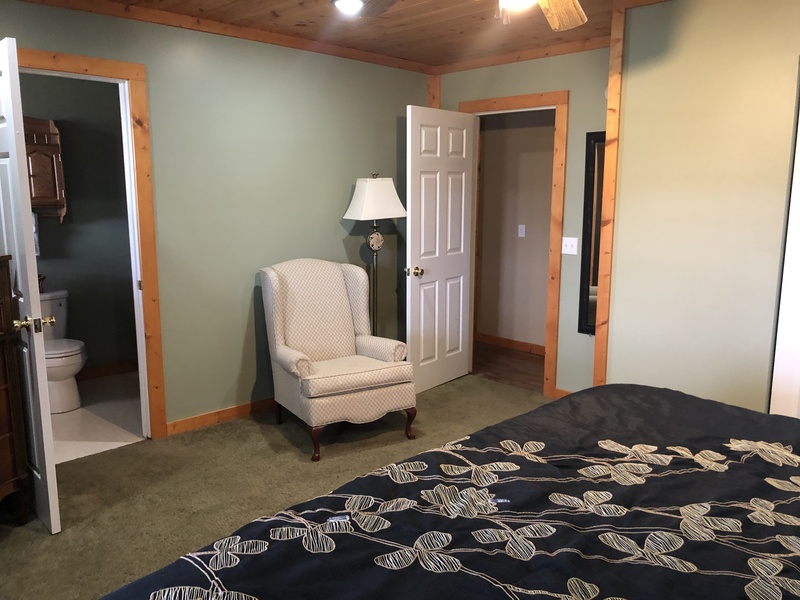 Two bedrooms with queen beds and a set of bunks in the third bedroom. 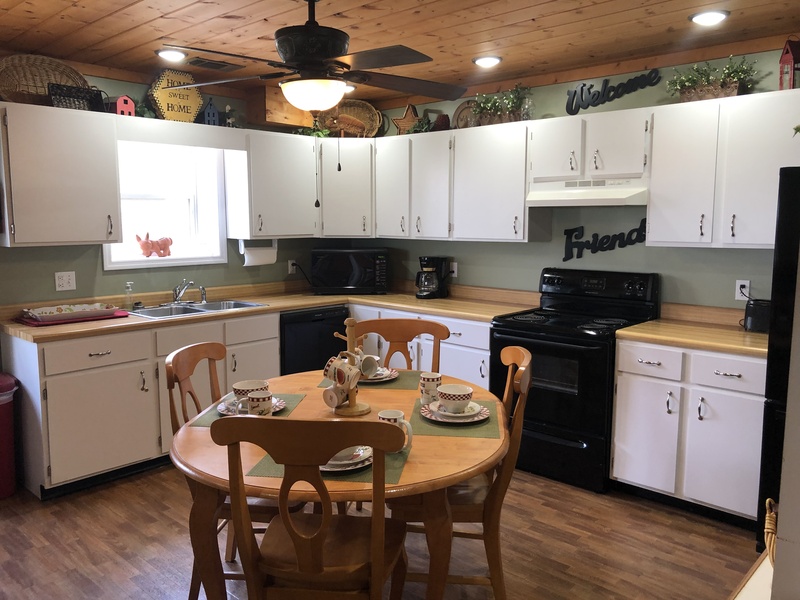 Washer, dryer, central heat and air, satellite TV…. and so much more. Lots of seating in the living area and kitchen. 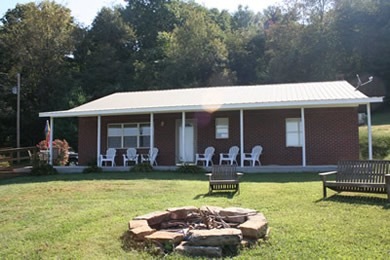 This cabin has a big fire pit for roasting marshmellows. 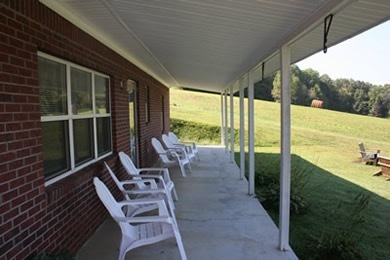 The Country Farm House has wonderful views of the countryside….. you will never want to go home. 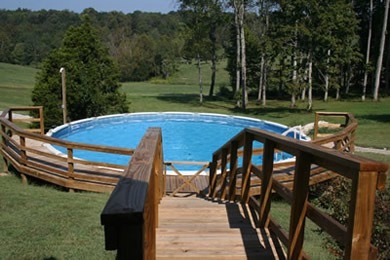 This cabin has a pool!! 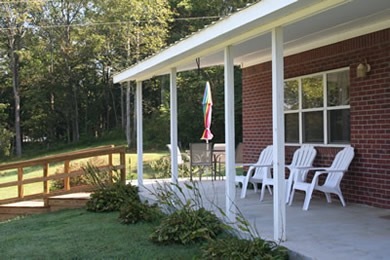 The Country Farm House is pet friendly for an additional fee of 75.00. To see what is happening around the marina and information about last minute specials, please look at our face book page and become one of our fans…. 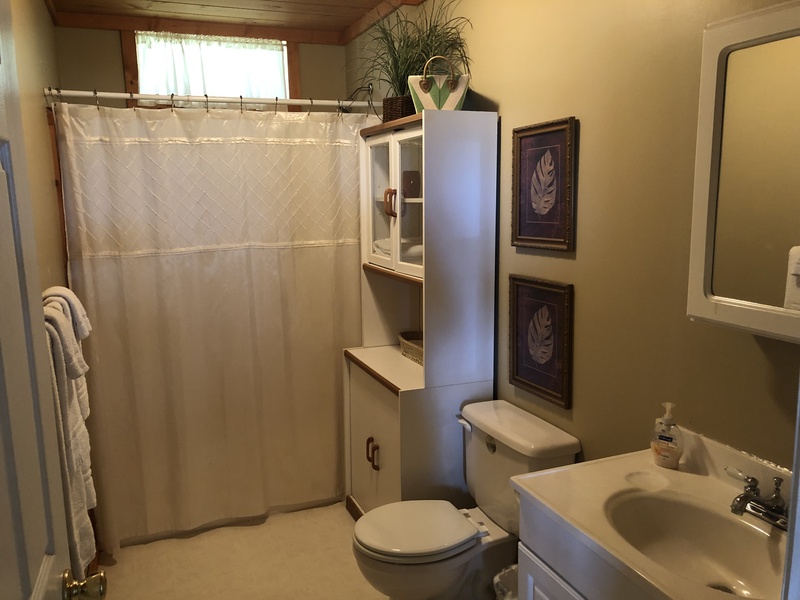 This income producing property is for sale. 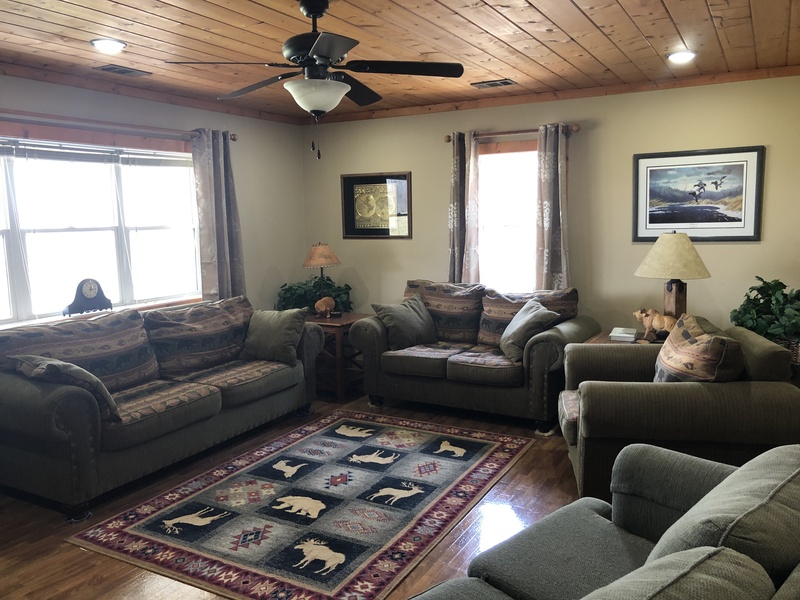 Own a beautiful cabin near Dale Hollow….. and let visitors help pay for your very own cabin at the lake. For sale by owner.